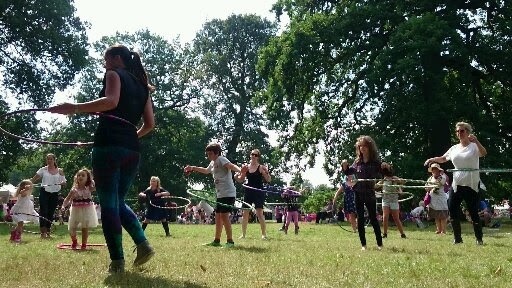 A new fun way of getting fit has been launched in Birmingham – hula hoop dance classes. Spintaneous takes place at Stirchley Baths, in Bournville Lane, Stirchley every Tuesday and Wednesday nights. The new one-hour class aims to help people slim their hips and exercise in a fun way with the retro hula hoops, made famous in the 1970's. With time and effort, those taking part may even be able to rotate the hoops along their arms, legs and necks. Spintaneous costs £5 for each class and is normally from 8.30pm to 9.30pm on Tuesdays and 7.45pm to 8.45pm on Wednesdays. Val Hamilton, from Spintaneous, said: "Our classes aim to be inclusive, fun and offer a bit of escapism from the daily grind - but the health and fitness benefits are an added bonus. Total beginners are always welcome and hoops and great tunes are provided." The classes are drop-in, pay as you go sessions for all abilities. The company also runs events and takes bookings for special occasions like hen parties and birthday parties. Although a kind of hula hoop dates back to the Ancient Greek and Roman times, the modern hula hoop plastic toy was created in the 1950's by Arthur "Spud" Melin and Richard Knerr who took inspiration from Australian children using rings made of bamboo for exercise. For more information on Spintaneous, email the organisers at info@spintaneous.co.uk or call 0779 117 4026.